2010 Vectrix VX-1E. Picture credits - Vectrix. Submit more pictures. It gives you the same �go-stop-reverse� throttle, comfortable two-up seating and stable, yet agile handling as the VX-1. And does it in a more urban-oriented, street-savvy form, giving you the 50-mph speed and 20-30-mile range you need for in-town errands, runs to school, and surface-street commuting. Comments: Brushless DC, radial air-gap rear-hub motor. Range 20-30 miles per charge depending on speed and acceleration. Indicator shows remaining range according to driving profile. 3-5 hour charging time. 125 Volt. Estimated battery life: 10 years. Ask questions Join the 10 Vectrix VX-1E discussion group or the general Vectrix discussion group. Bikez.biz has an efficient motorcycle classifieds. Ads are free. 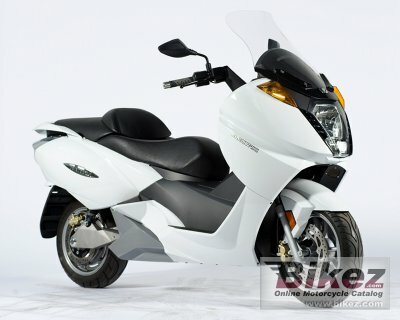 Click here to sell a used 2010 Vectrix VX-1E or advertise any other MC for sale. You can list all 2010 Vectrix VX-1E available and also sign up for e-mail notification when such mopeds are advertised in the future. Bikez has a high number of users looking for used bikes. Before you buy this bike, you should view the list of related motorbikes Compare technical specs. Look at photos. And check out the rating of the moped's engine performance, repair costs, etc.